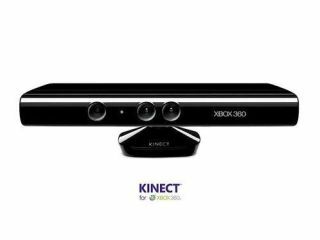 The guessing game is over, because Microsoft has officially revealed that the name of its motion-control technology for Xbox 360 is 'Kinect'. The tech – formerly known as Project Natal – was unveiled at a high-profile pre-E3 premiere event at the Galen Center in Los Angeles. Last night's televisual spectacle was put on by the circus kings and queens at Cirque de Soleil. In addition to a number of new games announced for the new Xbox 360 motion controller, Microsoft reps were also showing off 'video chat' application for the new peripheral (pictured here). Kinetic games that were demonstrated by Microsoft at the event included Joy Ride, pet game Kinectimals, sports title Kinect Sports (including tablet tennis, boxing and bowling games) Kinect Adventures (including the river rafting game that's been seen), Dance Central (developed by MTV Games), and Star Wars and Disney titles. More on those new titles and deals between Microsoft and LucasArts and Disney shortly. Microsoft's spectacular will be televised via MTV later in the week. We also expect much more details on the tech, the games and more from Microsoft's official E3 press conference later this evening. Stay tuned for news from that as it breaks from 7pm GMT onwards later today. No official word on the exact Microsoft Kinect release date (although Microsoft has said it will be some time in October) or UK price yet, but the smart money is on a November release in time for Christmas. More later.